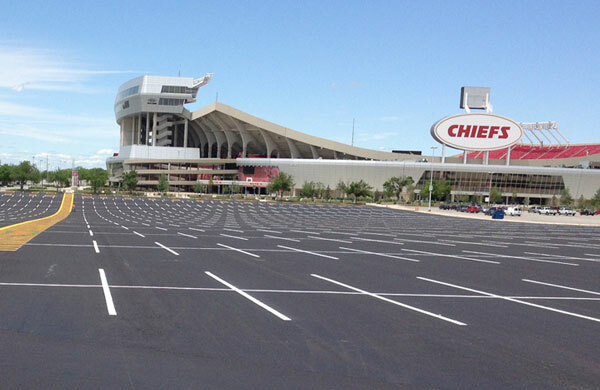 We have many years of experience with various pavement markings for new construction or re-stripes (including asphalt markings and asphalt striping). Our road marking and striping services include but are not limited to: parking stalls, crosswalks, handicap symbols, legends/stencils, fire lanes, curbs, and bollards. Contact us online or call us at 816-741-3339 to learn more about how we can help you.